We had a motley crew of a group hitting the movies on August 5th: one parent who likes funky movies like funky movies (ala The Big Lebowski), one parent who likes more slapstick humor (think Airplane), a four year old and a two year old. What movie that just came out could have all four of us hysterical? Shaun of the Sheep! We were invited to a press screening and quickly accepted as it is rare that a kids movie hits the theater that our very young kids can go to (a lot of the PG movies are too scary for them). I was really anticipating the event as I couldn’t wait to hear them laughing, and seeing them enjoy a movie would make it a good day. When Shaun decides to take the day off and have some fun, he gets a little more action than he bargained for. A mix up with the Farmer, a caravan, and a very steep hill lead them all to the Big City and it’s up to Shaun and the flock to return everyone safely to the green grass of home. My kids wanted to see this, but we haven’t made it to the theater yet. I think we might go this weekend. I’m glad you gave it a great review. Can’t wait to take my kids. Thank you! Awww this looks like a cute movie! Thanks for sharing! Shaun the sheep is overly cute. I’d love to watch this movie just to relax and take my mind off the stresses of the world. I guess it will be another fun filled day to bring the kids to watch this film. nothing beats the good old family time! i just hope kids can learn more good values and lessons from this. enjoy every one and be safe! The girls have seen the trailer and they love it. We are looking forward to it. I really want to see this! I used to love love love Wallace and Grommet so I want to see this too! Sounds like a fun movie. Kids will love it. I need a good comedy. I’m looking forward to seeing this. 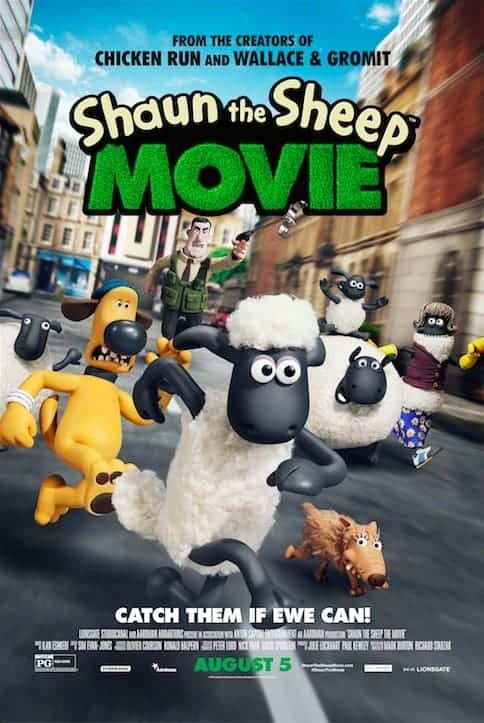 LOL, My kids LOVE Shaun the Sheep! Too bad my kids are too young for movies or I’d take them to this!